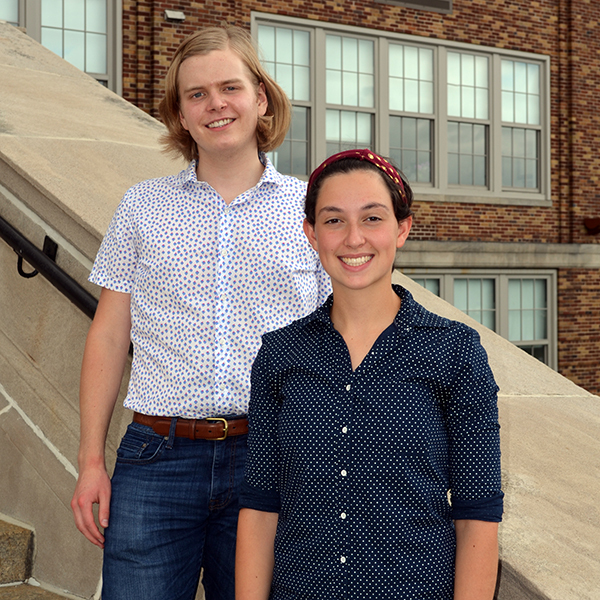 Kennett High School is proud to announce that seniors Benjamin A. Jordan and Sarah E. Ploener have been recognized as National Merit Semifinalists in the 63rd annual National Merit Scholarship Program. Benjamin and Sarah were among approximately 1.6 million juniors who entered the 2018 National Merit Program by taking the 2016 Preliminary SAT/National Merit Scholarship Qualifying Test (PSAT/NMSQT) that served as an initial screen of program entrants. In addition to being a member of the National Honor Society, Benjamin is a member of the Varsity Academic Team, Future Business Leaders of America, the Mock Trial Team, Model UN, and the German activity club. He also plays doubles for the varsity tennis team. Sarah plays clarinet in the marching band and jazz band, and is a member of the string ensemble. She is also a member of the Varsity Academic Team, the Demon Robotics Team, Model UN, and the Gender Sexuality Alliance. These students are eligible to continue in the program competition for some 7,500 National Merit Scholarship awards worth more than $33 million to be offered in the spring. To advance to the finalist level and to be considered for a Merit Scholarship award, semifinalists must fulfill several additional requirements. These include an outstanding academic record, endorsement by the principal, and SAT scores that confirm the preliminary results. The semifinalist and his or her counselor must submit a detailed scholarship application that includes the student’s essay and information about the student’s participation and leadership in school and community activities. As the saying goes, “No one is more cherished in this world than someone who lightens the burden of another.” No one reflects this better than Mrs. Angela McGrath, office clerk at New Garden and Bancroft Elementary Schools. She assists students, parents, teachers, and administrators to help keep both elementary schools running smoothly. 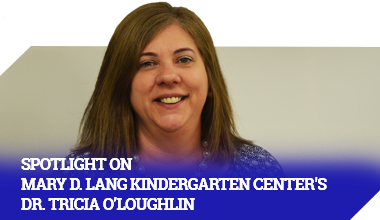 Mrs. McGrath grew up in Kennett Square and attended St. Patrick’s School from the first grade until the middle of her fifth grade year. She then transferred to the Kennett Consolidated School District, where she remained until graduating from Kennett High School in 1974. In her senior year, she participated in the work-release program, which allowed her to work at the National Bank and Trust of Kennett Square in the Accounting Department. Upon graduation, Mrs. McGrath was offered a full-time position with the bank and stayed with the company for eight years. When her son entered kindergarten at Mary D. Lang Elementary School (now the Mary D. Lang Kindergarten Center) in 1982, she switched career tracks to work at the local Thriftway. Then, in 1996 after applying to work in the District, Mrs. McGrath was offered a position as a one-on-one instructional assistant at Kennett Middle School. The student she was supporting at that time moved away midyear, so she began to work in New Garden Elementary School’s office in the mornings and at the high school office in the afternoons. At the end of that school year, she was offered a position at New Garden Elementary School as an office clerk and continued there until 2011. She now divides her time between New Garden and Bancroft Elementary Schools. As an office and attendance clerk, some of Mrs. McGrath’s tasks include issuing purchase orders, delivering supplies, and assisting administrators and parents. Outside of her work, Mrs. McGrath enjoys cooking for the family, beading and making jewelry, and visiting her favorite beach in Florida: Cocoa Beach. Her son, who attended school in the District from kindergarten through graduation, went on to attend Millersville University and is now a full-time professor at Strayer University. She has many pets, including 28 chickens, a turtle that a New Garden Elementary School student named Dribble, and a blue-headed Amazon parrot that she’s had for 18 years. Her newest project is keeping honeybees! Mrs. McGrath and her husband just celebrated 40 years of marriage.